It’s no hidden fact that Hyundai is currently working on a next-generation update for the Grand i10 hatchback. The South Korean automaker has already started testing this vehicle in Indian roads. 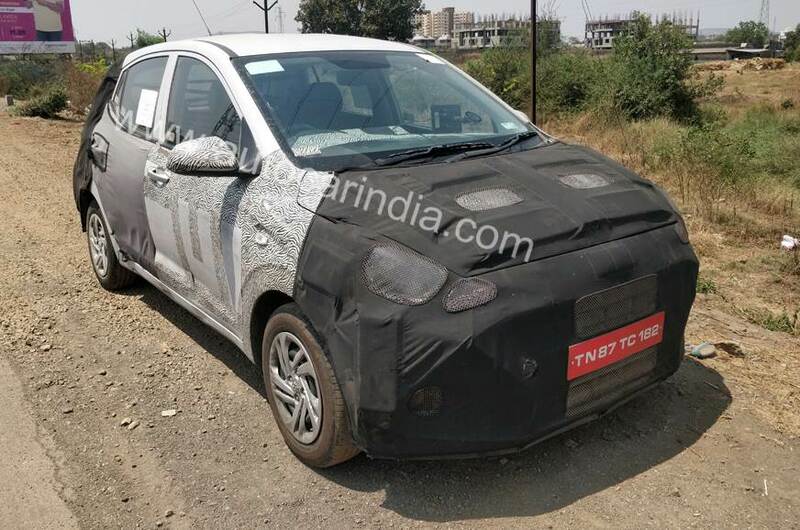 It is likely that the launch of the new iteration of this hatchback is going to take place sometime later this year. 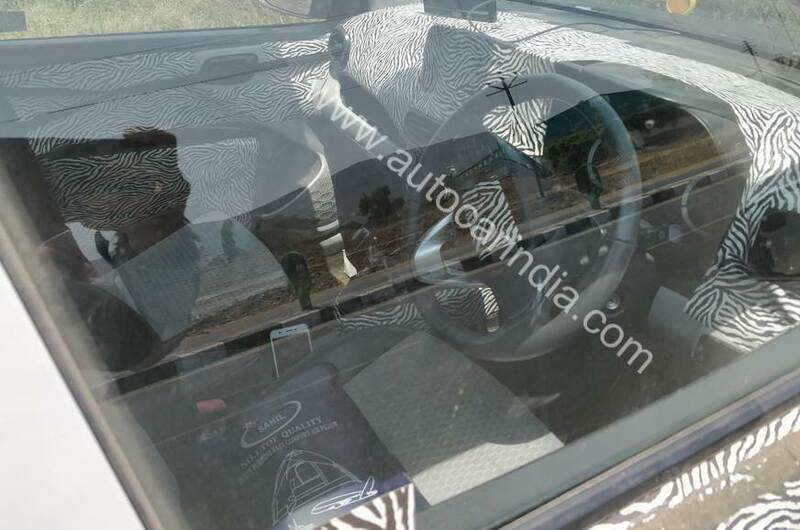 In a recent set of spy shots gives us some insights into what the interiors of the 2019 iteration of the Grand i10 are going to look like. For starters, the entire layout of the cabin will be revised. The dashboard is going to get an all-new design. Though heavily camouflaged, we can still see that it follows Hyundai’s latest design language. The side air-con vents get a circular design while the one in the centre gets an oval layout and sit low in the dashboard. In the centre, you get a floating touchscreen infotainment system. The central tunnel is also going to get a new design. Talking about the instrument cluster, in the lower variants, it is going to get a dual-dial layout. While the top-spec trim is going to come with a single dial along with a digital screen. On the outside, the 2019 Grand i10 will follow Hyundai’s new design language. Up-front you get large sweptback headlamps, sitting in-between is the cascading grill. The rear fascia is also going to get a completely new layout. In terms of features, the top-spec versions are going to get a touchscreen infotainment system with Android Auto and Apple Car Play. In addition to this, there will be automatic climate control, electrically operated windows, and ORVMs to name a few. 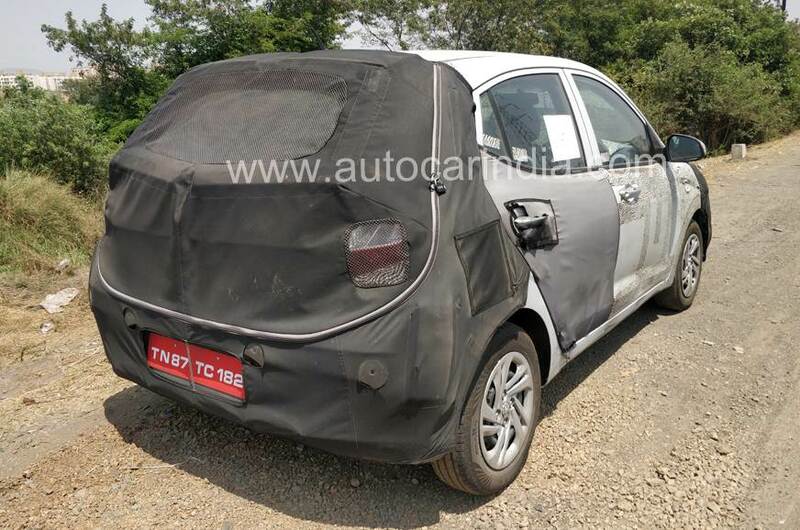 The 2019 Hyundai Grand i10 will get dual-airbags, ABS with EBD, reverse parking sensors, driver and passenger seat-belt warning, high-speed alert system to name a few. It is too early to comment on the engine specifications of the new Grand i10 as of yet. However, there is a chance that it might ditch its diesel derivative once the BS-VI emission norms kick in. Prices will continue to fall in-between the range of INR 5 lakh to INR 8 lakh. The competition will include Maruti Swift and Ford Figo.